CB says its new Teletruk fork lift features the strength of a telehandler and the body of a fork lift, making it ideal for hire and rental companies, particularly those servicing the mining industry. The Teletruk, invented by JCB in 1997, is a fork lift truck with a telescopic boom instead of a vertical mast. The design aims to save time and space and improve site safety by providing exceptional visibility and reducing the amount of movement required to load trucks, which also helps reduce costs. The mastless design enables the Teletruk to load flatbed and curtainsided trucks from a single side, where traditional fork lifts must load one side of the truckfirst, then travel around to the other side of the truck to complete the loading process. JCB contends this can save up to 50 percent of the loading space, save time and also increase site safety by enabling the creation of pedestrian-only zones. Because there is no mast at the front of the machine, the operator has an unrestricted view, further improving site safety. "The Teletruk combines the productivity and strength of a telehandler with the compact footprint and manoeuvrability of a fork lift. No other fork lift on the market can do what the Teletruk can do, it’s that simple,"
JCB Construction Equipment Australia’s (JCB CEA) National Telehandler Product Manager, Greg Sealey, says. "The Teletruk is also one of very few, if not the only, fork lift on the market with both [roll over protective structure] and [falling object protective structure] both of which are preferred for mining applications. This makes it ideal for hire and rental companies whose customers include mining companies. 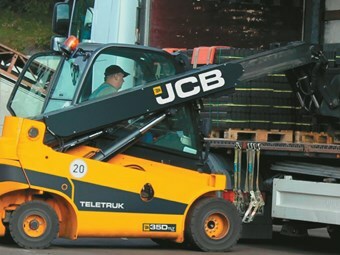 "The JCB Teletruk is the same physical size as a regular fork lift, but the telescopic boom gives it the lifting power and capacity of a much larger machine such as a telehandler, so the Teletruk is far more versatile and useful than an ordinary fork lift." On traditional fork lifts, the amount of fork tilt is restricted by the mast, making these fork lifts limited to certain applications. By contrast, the Teletruk enables fork carriage rotation of up to 111 degrees, making it capable of loading at different angles and in restricted space, broadening its use in different applications. 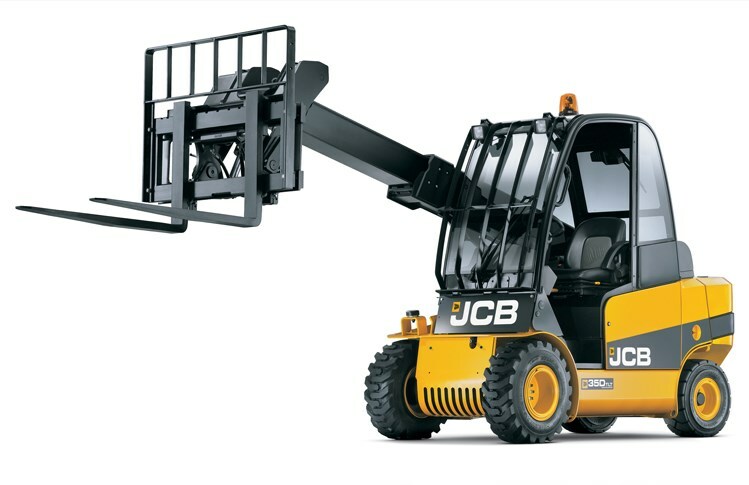 With 10 models available internationally, JCB CEA is currently offering two models in Australia, including a two-wheel drive version and a four-wheel drive version. The Teletruk weighs between 5,100 and 5,500kg and can lift 3,500kg to a height of 4.4m (or 4.35m on the fourwheel drive version). It is powered by a 46kW (62.5hp) engine with a fully enclosed hydrostatic drive system that eliminates the risk of damage from dust and debris, which is a major issue in traditional fork lifts because of their exposed drive shaft and external brakes. 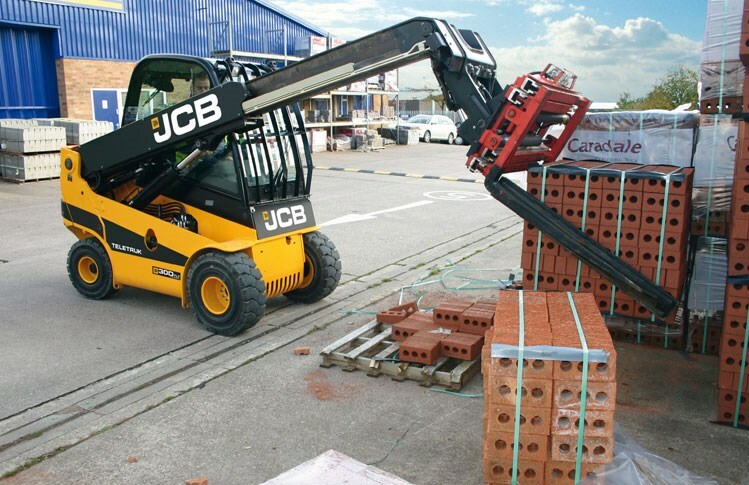 "The many safety features of the JCB Teletruk include fail safe braking, unrestricted forward visibility and, to protect against accidental disconnection from the attachment, spring switches that need to be depressed with one hand while the other hand operates the main lever," Sealey says. "Those safety aspects, coupled with the Teletruk’s compact design, excellent turning radius and ability to stack a truck from one side only make it the ideal choice in tight working environments like underground mines."